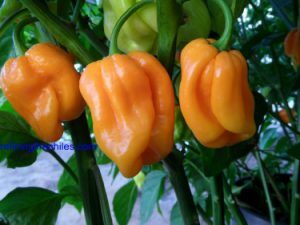 Thai Dragon-(Capsicum annuum)-Also know as the Thai Culinary pepper as its one of the most frequently used peppers in Gourmet Thai restaurants. 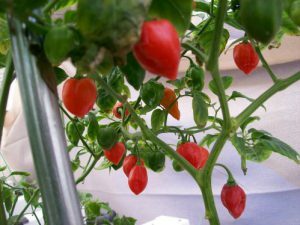 The Thai Culinary Chile plants are a small compact bush 1 to 2 feet tall. 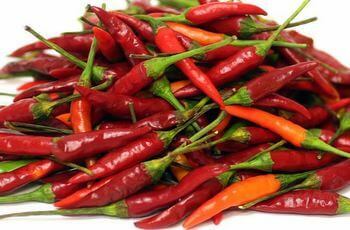 They produce clusters of fiery red peppers that average about an inch long. The peppers point up on the plant and taper to a point. 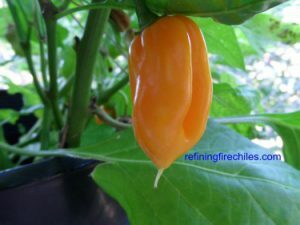 One plant may produce as may as 150 peppers! The heat level is between 30,000 to 60,000 SHU. 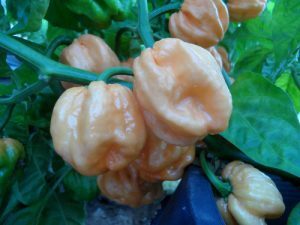 The Thai Culinary chiles are great for seasoning powders, sauces and stir fry. The heat is immediate with fruity flavor tones.